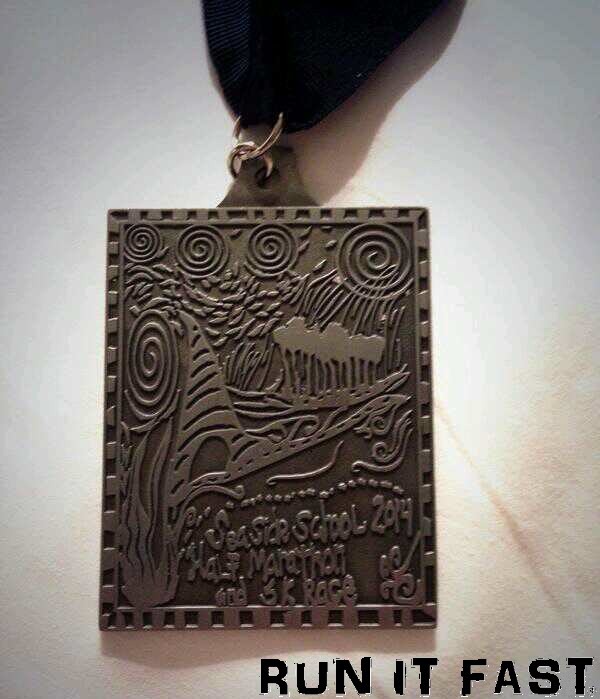 This is the medal the finishers of the Seaside School Half Marathon received on March 2, 2014 in Seaside, Florida. Lots of detail on this one. Very nice.